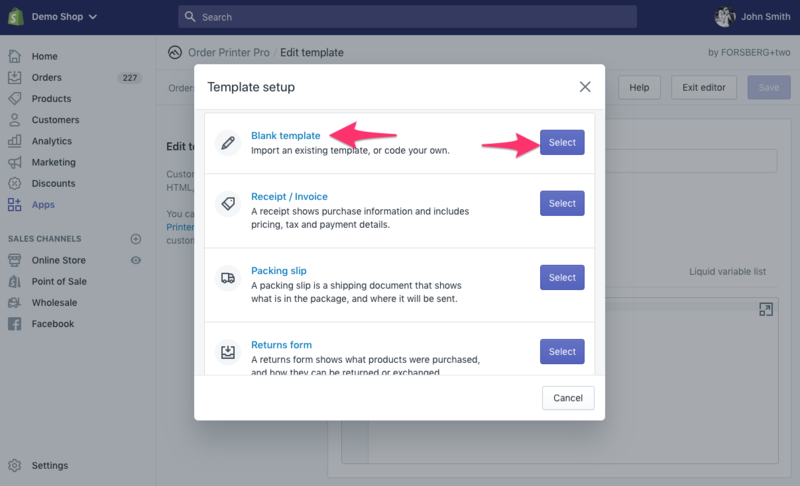 Note: If you have purchased a custom template from our Order Printer Templates app, see the "Importing a purchased template from Order Printer Templates" guide instead. 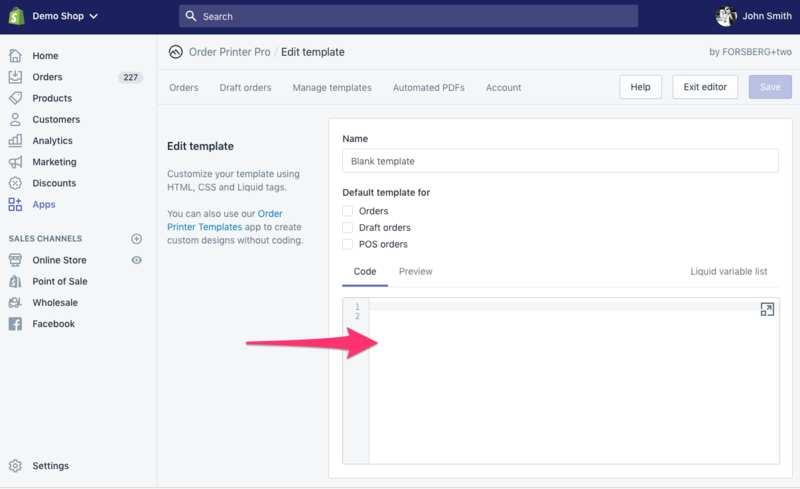 Migrating your existing templates from the Shopify Order Printer app, into the Order Printer Pro app is quick and easy, and only needs to be done once. 3- A new template is created, and a "Setup template" pop-up will appear. 6- Complete the "Name" field, and choose if this should be the "Default template for" any of the available order types. 7- Click the "Save" button, and you are done! 8- Repeat for any other templates you would like to migrate. The "Default template for" checkboxes control which templates are automatically selected when you access the app, from the different links in your Shopify admin. 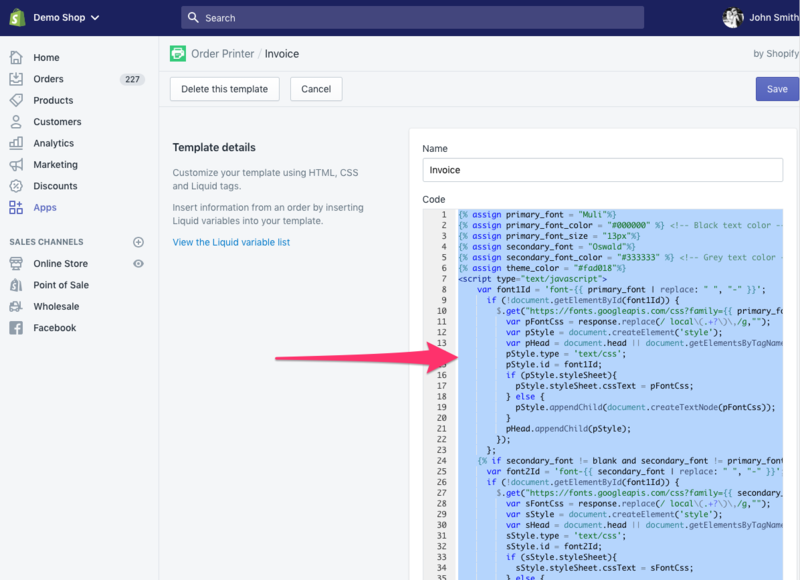 For example, when accessing the app from the "Orders" page in your Shopify admin, then any template with the "Default template for" setting enabled on "Orders" will be generated automatically.